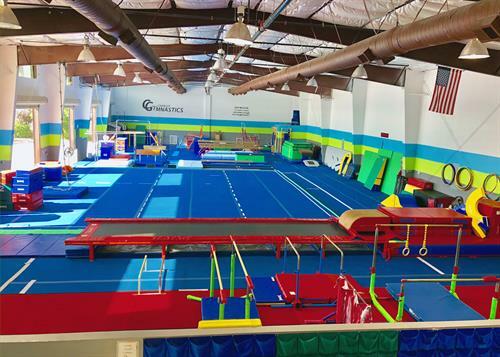 Pop N Play is open to the public for children 5 and under every Wednesday (10:15a-11:15a) and Friday (9:30a-10:30a) The kids have full access to the gym in a safe and fun environment. A coach will be on the floor to make sure the kids are using the equipment safely and for younger kids, the parents can go out on the floor with them (but the adults cannot use any of the equipment for themselves). $5 per child, 5 years and under.